The DKP180 replaces the BKP180 planer. 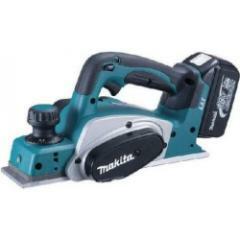 An 18V 82mm Cordless Planer developed with the same advantages of our mains planer Model KP0800. Body plus DC18RA charger and 2x BL1830 18V 3.0Ah Li-ion batteries.